Swiss boarding schools are the best, but why? Switzerland is a country renowned for its astounding mountain scenery, picturesque cities, towns and villages, multiculturalism, freedom and economic success. But what educational opportunities are there here in Switzerland, and what exactly is it about this great country that makes it a place like no other for young people to learn and develop as empowered individuals? Nestled between the astounding mountain scenery stand international private schools and colleges that have helped forge the country’s reputation as a leader in private education. Switzerland is a country of discretion, used to welcoming famous, affluent individuals who want to maintain a low profile. Switzerland is a safe country, a consideration not to be overlooked, given the violence that much of the world faces on a daily basis. For the educationalists amongst you, Switzerland is home to key figures in educational development and theory, such as Piaget and Pestalozzi, whose principles are still very much in evidence in modern teaching methods. One crucial reason for choosing Switzerland is its geographical location. It is a country at the crossroads of Europe, sharing national borders with France, Italy, Austria and Germany. With four national language areas there are huge cultural differences, yet these differences make for successful cohabitation, earning the Swiss a reputation for tolerance, respect and understanding. Multilingualism is a key part of the international school experience in Switzerland, not least of all here at Brillantmont where students usually study French and other languages in addition to studying through English. Why else would families choose to send their children to private schools in Switzerland for full year or summer courses, rather than to the UK or the US? The answers are many and various and will be explored in more depth throughout our new ebook entitled Why Study in Switzerland? You have just read an extract from our new ebook, Why Study in Switzerland? 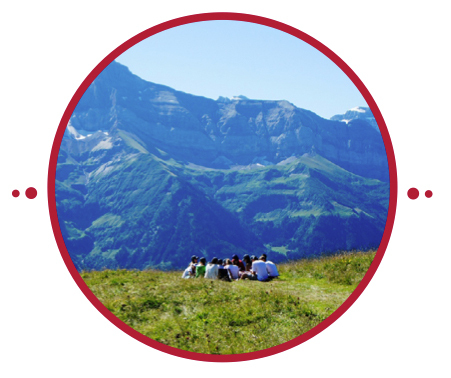 Click below to download a free copy and learn more about the geography, culture and academic landscape of Switzerland, as well as testimonials and touching personal stories from students, parents and alumni.